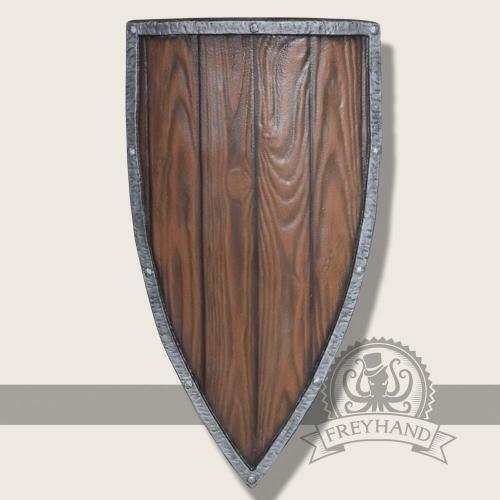 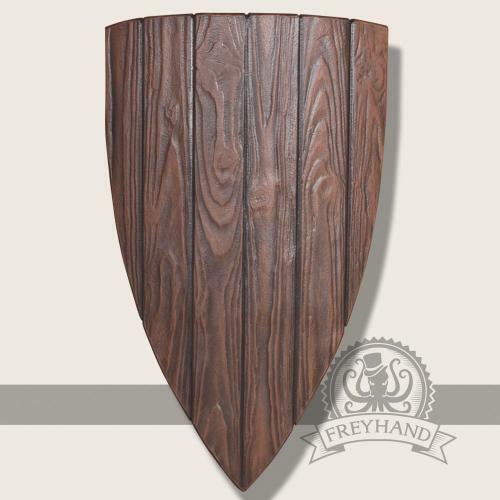 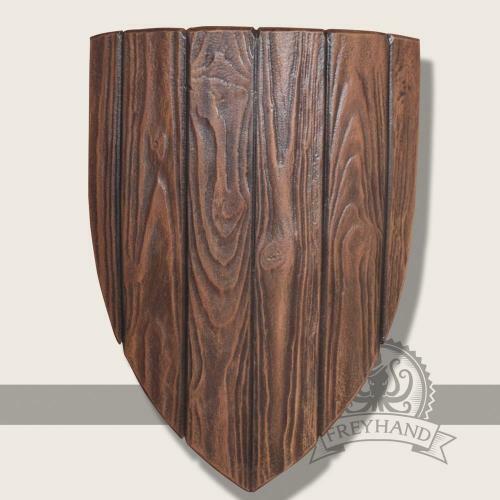 A simpel kite shaped wooden LARP shield. It has a very realistic wood texture on the front and the back, which gives it a nice rustic look. 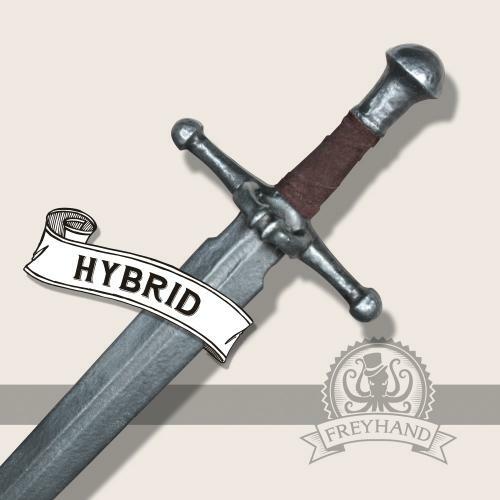 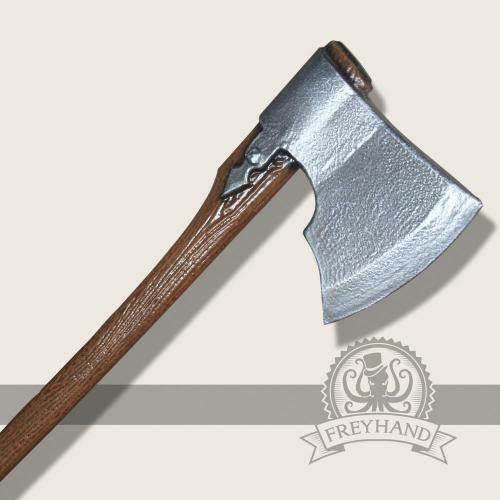 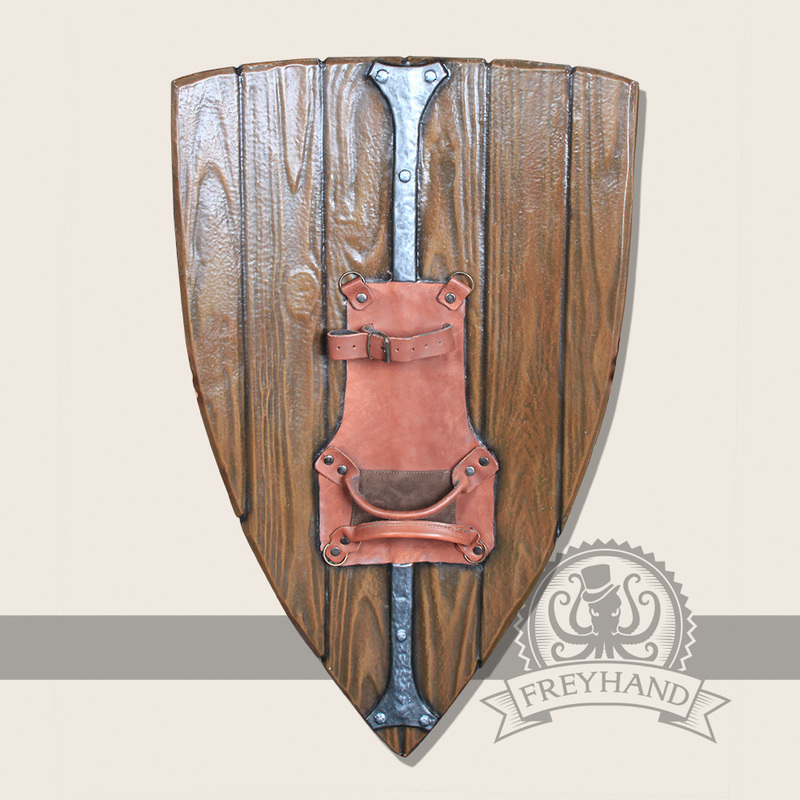 The handle is made of high quality leather and placed in the middle to be suitable for lefties and righties alike. 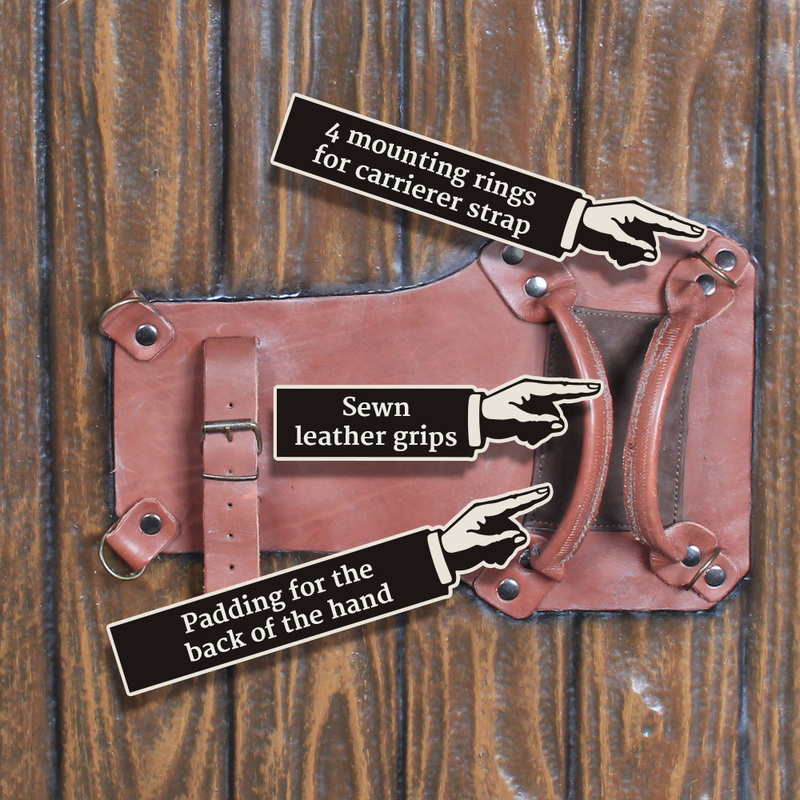 On the inside it has a fiberglass rod which gives it more stability holds it in the right shape down to the tip.